Zimbabwean Prime Minister has been on a Tour of Western Europe and the United States seeking Financial Aid for the Struggling Southern African Country. It is estimated that at least $ 730 Million Dollars is needed to repair the Economy at this time. Yesterday PM Tsvangiari met with President Obama how did the Meeting Fair? Relations between the United States and Zimbabwe have been Strained due to a series of Controversial Elections, A Land Reform Program that on the surface appears to be a Political Payoff and the Degradition of Human Rights. 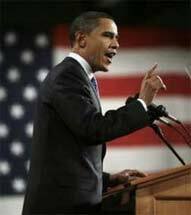 When He Took Office President Obama announced that the US Policy towards Zimbabwe would be reviewed. Currently the Policy consists of Targeted Sanctions against Members of the ZANU-PF (Zimbabwe African National Union-Patriotic Front) that have Government Positions, Members of the Military and Certain Businessmen. The Individuals on the List are prevented from Travelling to the United States unless they are on Official Business. There are no Contacts Between the US and Zimbabwean Military. In 2001 Congress Passed Legislation that created the Sanctions Framework. In respect for the Restoration of an Independent Judiciary, Restoration of a Vibrant Independent Media and Protection of Basic Human Rights the US would have assisted in the Approval of a World Bank loan and a Line of Credit. President Obama met with Zimbabwean PM Tsviangiari yesterday!! During the Meeting Yesterday President Obama heaped copious amounts of Praise on the Zimbabwean Prime Minister. For Several Years He has been the most visible Opponenet to the Abuses that have plagued Zimbabwe. For that He was considered to be an Agent of the West by the State Controlled Media in the Country. And He was detained on more than one occasion, had his Passport confiscated and even was targeted for Abuse Himself. When the President Announced the Aid Package for Zimbabwe the President Announced that Money would not Go Directly to the Zimbabwean Government. This can only Mean that Agencies such as the Agency for International Development, the IRI and NDI (International Republican Institute and the National Democratic Institute) will distribute this Aid. Currently Most Zimbabweans Get their Food from the US Department of Agriculture and Aid Groups. Clearly Progress has been made in Zimbabwe. But Until the Situation with the Security Forces is Resolved all of the Efforts being made by the US, South Africa, Australia and the Netherlands may be for naught. The Confused Eagle will continue to Monitor Events in Zimbabwe.